Noted. | FineStationery.com: Friday Linkfest, Mateys! Arrrr! I thought t'was high time to be roundin' up me favourite parrrrty themes seein' as it be th' day to celebrate our belov'd sea-speak. You best take heed and go o'er to these sites, lest ye be seekin' to walk the plank! 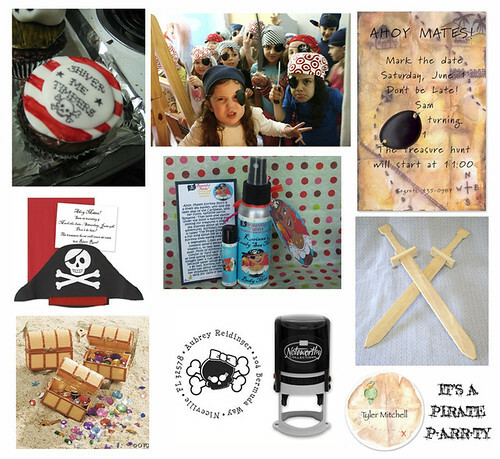 Translation: In honor of Talk Like a Pirate Day, I thought I would do a short and sweet round up of some of my fave pirate party links. Check them out!